Those Washington bullets want Castro dead. ...That will earn you a spray of lead. Way back in the early 1960s, long before the likes of Saddam Hussein and the Taliban made themselves available, one of America's principal bogeymen was Cuba's famously big-bearded president Fidel Castro. Swept to power at the head of a popular revolution, Castro initially delighted much of the Cuban populace by introducing a programme of government funded education and health care for all, but seriously pissed off the American big businesses stationed in Cuba by seizing their property and assets for the state. As the name Castro became associated with that ultimate in western scare words, Communism, the American government and its propaganda-fed populace became increasingly concerned by this pocket of revolutionary Marxism sitting on their very doorstep. As a result, a series of American administrations decided, in that particularly undemocratic way that they sometimes operate, that it would be in their best interests if Castro were to die and that they would do all they could to quietly accelerate the process. They had as their allies a sizeable community of largely Miami-based Cuban exiles, those who had fled their homeland and harboured a particular hatred for Castro. Acting individually, in small groups, or as in the disastrous 1961 Bay of Pigs debacle, as a counter-revolutionary army, the often covertly funded ex-patriots repeatedly tried to murder the revolutionary leader. The 638 of the title is no randomly selected figure, but the number of assassination plots uncovered and recorded in detail by Fabian Escalante, ex-head of the Cuban intelligence service. And yet Fidel Castro, now 81 years old and in imperfect health, is still alive and still president of Cuba. The most powerful nation on earth, aided by a community of fiercely determined men, have not been able to touch him. Dollan Cannell's fascinating documentary investigates this still ongoing campaign to kill Castro and the various suggested reasons for it's repeated failure. The approach is initially playful, with almost mischievously sleight-of-hand editing blending news footage with feature film extracts – notably Mikheil Kalatozishvili's ground breaking I Am Cuba – making a seemingly successful bullet hit out of a simple tumble, only to then back up and give purpose to this cinematic deception. The seemingly jocular approach may seem at odds with the subject matter, but is nonetheless in keeping with the desperate absurdity of some of the methods devised and employed by the would-be assassins. These included plans to make Castro's beard fall out, to provide him with a poisoned diving suit, to leave an exploding sea-shell for him to pick up, to substitute his beloved cigars for ones that explode, and – my personal favourite – to flood a TV station with LSD in the hope of making him freak out during a live broadcast. There were, of course, a number of more seriously thought-out attempts, some of which came remarkably close to succeeding. Where the film really scores is in its interviews with a number of those directly involved in assassination plots, whose only regret even after all this time appears to be that they failed to kill their target. The deeper Cannell gets into this territory, the more troubling the connections and insinuations become. This is especially true of Orlando Bosch, whose unsavoury activities and almost certain involvement in the bombing of a civilian plane did not stop the Republican Party from making the campaign for his release from jail part of their election drive. That Cannell actually lands an interview with Bosch is astonishing enough, but the interview itself is... well, that's best left for the film itself to reveal. Little attempt is made to explain just why the Miami Cubans harbour such a hatred of El Presidente and it's thus left to us to find our own answers, but in all other respects 638 Ways to Kill Castro is a well researched, entertaining and ultimately disturbing dip into the darker side of unofficial American foreign policy. It can't help but suggest a blatant hypocrisy at the heart of the Bush government's so-called War on Terror, with former US diplomat in Cuba Wayne Smith pointing out that George W. Bush's claim that anyone who harbours a terrorist is also a terrorist is at odds with his willingness to provide a safe haven for some of those responsible for the attack on the Cabana 455 passenger flight. 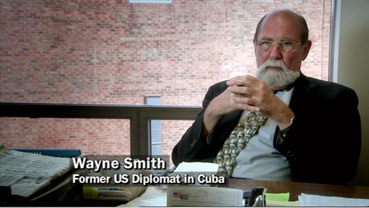 It's also the very affable Smith who offers the most telling assessment of the attitude of successive US governments to Castro's Cuba when he says "Cuba seems to have the same effect on American administrations that the full moon had on werewolves." Framed 1.78:1 and anamorphically enhanced, the film includes a wide variety of archive footage whose original condition is not always ideal, but if you're going to judge a transfer then you need to do it on the basis of the newly shot stuff, and that looks fine, with colour, contrast and detail all of a high standard. The extracts from I am Cuba are a little less polished than you might expect, but it's doubtful the filmmakers had access to a digitally remastered and restored source. The interviews that comprise the extra features are of a similar standard to the main feature. 638 Ways to Kill Castro is a made for TV documentary so is not designed to give the surrounds and subwoofer a workout. Clarity is key, and here the soundtrack does its job well. Music also sounds fine. Dolby 2.0 stereo is the only track on offer here. A really interesting interview with the gently spoken English director, who covers a lot of worthwhile ground in enthralling detail, providing answers to the sort of questions you'd probably ask if you had the chance to talk to him about the film. This includes the authenticity of the information used, the role of the CIA, some material that did not make it to the final cut and, of course, his unsuccessful attempt to secure an interview with Castro himself. The rest of the extra features are all interviews that did not make it into the final edit. Both sides of the debate over Castro are represented and make for fascinating comparative listening, particularly regarding the whole question of just how you define a terrorist. All of the interviews, including the one detailed above, are conducted in English and have optional English subtitles. Carter looks back at his own approach to dealing with Castro and the policies that followed in his wake. He's not, as you might imagine, a big fan of George Bush. An interview with a Miami detective whose identity has been concealed (not as well as you might expect – there are a few very clear shots of his face) whose testimony, if true, provides further damning details of the plane bombing covered in the main feature. Alarcon takes specific aim at the Bush government, the hypocrisy surrounding the War on Terror, and the protection extended in the US for Luis Posada Carriles, a man who has openly admitted to terrorist acts against the Cuban people. Ros-Lehtinen beams at the idea of seeing Castro killed and refers to those involved in plots to do so as "freedom fighters," recalling that old phrase about "One man's terrorist..."
Secretary for a secret American policy group on Cuba in the 1960s, Parrott engagingly explains the workings and purpose of the group, including some of the more outlandish plots made against Castro, most of which appear to have been the brainchild of Chief of Operations Ed Lansdale. 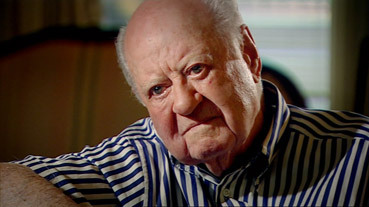 He also discusses working with a particularly aggravated Bobby Kennedy. Following a quick tour of Kennedy photos on his wall, Goodwin reveals Kennedy's fondness for James Bond novels, and shares what little he admits to knowing about how the President felt about "the Castro problem." Reich sincerely sings the praises of George W. Bush, whom he regards as a friend, and believes that Castro's assassination would be morally justified, making indirect comparisons to Adolf Hitler and accusing Castro of being a terrorist and supporter of international terrorism. Intriguingly, some of his arguments are used elsewhere on this very DVD by others to accuse George Bush of the very same. Those in the know will have picked up that this is a co-production with Channel Four and that a TV screening date is thus probably not far off. But Fremantle's DVD release still represents a worthwhile purchase, for the transfer, for the extra features, and of course for the film itself, which is as witty as it is insightful, and deserves a place on the shelf of anyone with an interest in the increasingly dishonest, underhand and unpleasant nature of international politics.